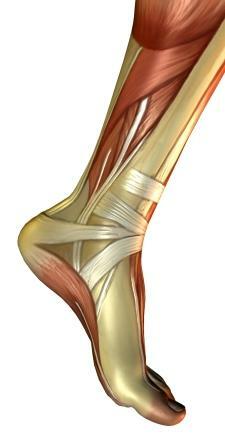 The Achilles tendon is the largest tendon within the body, it attaches the calf muscles to the heel bone. It is a very powerful structure that load up to 12-13 times the bodies weight during running. It is crucial for walking and running as during the propulsive (toe off) phase of gait (walking) as the calf muscles contract (tighten) to drive the body forward the Achilles tendons pulls on its attachment site, the heel bone, to create heel lift and ankle joint movement. 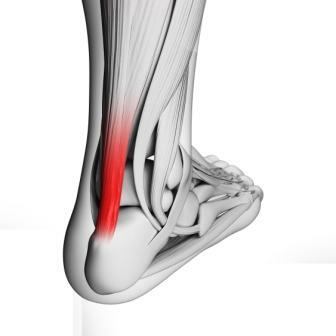 Achilles problems can present in various ways with the most common site being the mid-portion of the tendon, which affects the middle section of the tendon 2-6cm up from the heel bone. Presentation is characterised by pain and swelling, this can affect walking especially during the push off phase and climbing stairs. The Achilles may feel stiff first thing in the morning and after periods of rest. Other types of Achilles tendon problems include Insertional Achilles tendinopathy where by the attachment of the Achilles becomes painful and swollen. An increased body mass places more stress through the tendon during walking & running, which has been estimated up to 12-13 times the body during running. A diagnosis is made generally from symptoms and clinical assessment, there is commonly localised swelling within the tendon, Imaging such as an Ultrasound is commonly used to aid diagnosis and assess the structures integrity for tears or splits or even rupture so appropriate treatment planning can be commenced.